What’s to do in Ventura? The California coast is known for sun and sand – and Ventura is no different. If you’ve never been to Ventura, you’ve surely seen it in movies. This is the city where Swordfish, Chinatown, Little Miss Sunshine and Erin Brockovich were partly filmed. It’s a scenic city with some of the best surfing in the state and much, much more. Taking a party bus to Ventura can offer lots of possibilities; take your group whale watching on a chartered boat, or spend the day seeing the sites at the harbor and oceanfront. There is a marine sanctuary, a national park, and plenty of other outdoor recreational spots to visit. So grab the sunscreen and a good book or the longboard—Ventura is your playground. This old fashioned oceanfront promenade offers visitors a modern take on an olde time favorite—the seaside resort. With plenty of walking and bike paths along the sandy shore the outdoor recreational opportunities are endless. But don’t forget to take in the cultural offerings as well—tacos on the pier, kitschy vendors, the gorgeous Colony Plaza Hotel. And it’s all just a short walk across the bridge from Downtown Ventura with all of its wonderful shops, restaurants, and bars. This world-class theatre presents original plays, award-winning performances, and Broadway concerts alongside unique programming and education opportunities. In addition to functioning as an anchor of the arts in Ventura, this lovely theatre makes the perfect venue for some of the hottest bands in the country like Young the Giant, Silver Sun Pickups and more. Going to a concert? 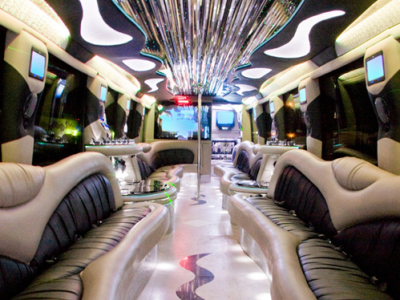 Get a group of friends together (up to 40) and rent a party bus in Ventura. Ride in style and comfort (with complimentary adult beverages) before and after the show for no-hassle travel. This unique performance group puts on top-tier entertainment every time the curtains open and often features audience involvement! From the Friday night comedy shows to the improv workshops and acting classes the VIC is really a full-featured theater troupe. Looking for a ladies night that won’t offend your more tender friends and family? The VIC’s comedy can’t be beat. 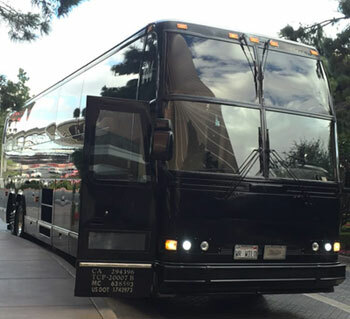 Gather a group together and rent one of our party buses in Ventura. Arrive at the show rested, refreshed, and relaxed (with the help of one or two complimentary beverages from the wet bar). All you have to do is laugh the night away. 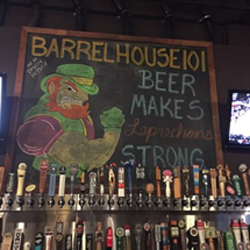 If you’re thirsty, there’s no place more adventurous to quench you craving than Barrel House 101. California is known for its craft beer selection but Barrel house 101 boasts the biggest selection of specialty beers on tap along the Gold Coast—a total of 101! The menu includes gourmet burgers, sandwiches, and tacos—California comfort food—with unique twists like the Portobello Panini and the Ahi tuna sandwich. It’s a great place to kick off your own personal beverage tour in Ventura—which the helpful folks at White Rose can help you plan. Book a party bus in Ventura and choose your beloved watering holes . . . or let us help you find a new favorite. This winery is unlike any other you’ll find in California. That’s quite a statement considering the state is really America’s Wine Capital! Four Brix is a unique boutique winery that features internationally-inspired wine blends that take time and special care to craft. This team of enthusiasts is so dedicated to raising their wines the right way they even gave them names like Smitten, Zeductive, and Rhondezvous. The venue features a more intimate tasting room with elegant decorations and relaxing furnishings that invite folks to sit and sip for a while but if you’ve got a larger group or are planning a special event like a reception or anniversary four Brix also offers Private (Barrel & Production) rooms for rent. Let White Rose get you to and from your elegant evening at Four Brix with a party bus in Ventura. 10 to 40 of your closest friends and family travelling in comfort together—it’s the social gathering of the year. This wine bar is a cozy little space for enthusiast to expand their own palates and find their new favorite vintage. In addition to the standard tasting room setup, the Wine Rack offers special events like live music and members-only gatherings. Wine Rack also offers a membership service—subscribe and you get discounts, waived corkage fees, and invites to quarterly social events. Is wine a little too refined? Are you and your friends looking for something a little livelier? Paddys Bar & Lounge is a no-holds barred nightclub featuring unique entertainment including two separate dance floors, Wednesday night karaoke, and drink specials all weekend long. You never know what you’re going to see at Paddys: drag queen shows (and drag bingo! 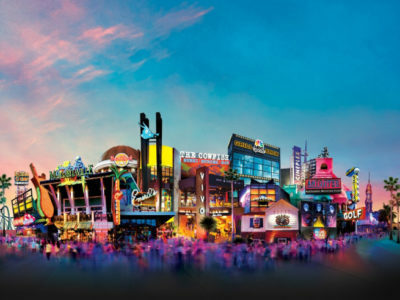 ), beach bashes, bachelorette parties, and themed nights like the 80’s dance party! Paddys is the perfect place for you and yours to cut loose but remember: safety first! Let White Rose’s chauffeurs get you to and from the excitement in a 40-person party bus in Ventura . . . with complimentary cocktails along the way. Ventura is one of California’s most iconic coastal cities, home to world-class entertainment, fine wine and dining experiences, and the natural beauty of the sun, sand, and surf. The city itself grew up around the historic Mission San Buenaventura—one of California’s 21 historic icons—founded in 1782 but things really took off in the early 20th century. In fact, Ventura figuratively exploded in the 1920s when oil was discovered in the fields outside city limits. A building boom ensued that transformed Ventura nearly overnight. It was during this first big boom that a number of Ventura’s historic landmark buildings were constructed—many of which still stand today for pictures by amateur and professional photographers alike. Ventura experienced another boom during wartime and its growth hasn’t slowed since. The city has become a true California icon with excellent surfing, sandy beached, tech companies galore, multiple college campuses, and iconic adventure company Patagonia all right in this tiny 32 square mile plot of land. We can pick your group up at a designated location and drive you to Ventura in our posh party bus. Once there, we will shuttle you around to your various destinations and bring you home whenever you’re ready. Our driver does all the work so all you do is relax. With so much to see and do go grab some friends, Call White Rose, and book a party bus to Ventura for a day of fun you’ll not soon forget.